Take a quiz and get your Free Nikwax Sample! You can request a free sample from Nikwax every 2 months. Test your knowledge on our WebQuiz and if you answer all 5 simple questions correctly, a FREE 50ml pouch of Nikwax Waterproofing Wax for Leather will be on its way to you! If you are in doubt about an answer on the quiz you can use the “Clue” option to find the correct answer. To get your sample, click the link and take the quiz on the left side of the page. It’s like an open-book test, you can click “CLUE” and find the answer on their site. If you get an answer wrong, you can refresh the page and start over. The questions are different each time. When you’ve completed the quiz with all answers correct, SUBMIT your answers and your Free Bottle of Nikwax will be sent within 28 days. 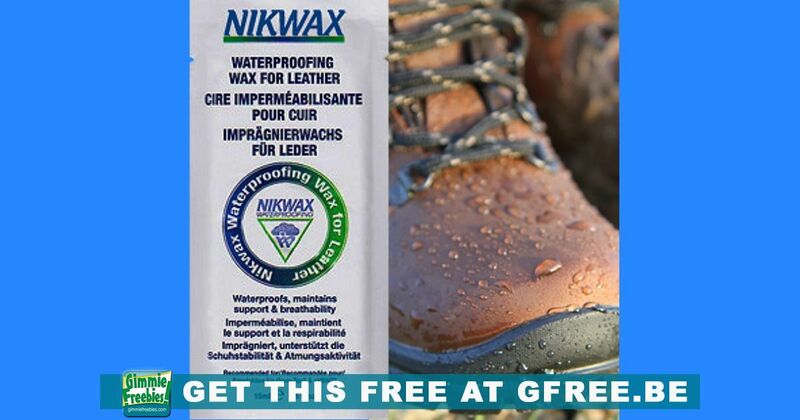 Nikwax Waterproofing Wax for Leather is a high-performance waterproofing cream for smooth leather. It adds water-repellency while maintaining breathability and does not over-soften leather. It can be applied to wet or dry leather and is immediately effective. CANADA: please click here for the Nikwax Canada web quiz* to get Free Nikwax!